The University of Malta Racing (UoMR) have succeeded in raising funds through their crowdfunding campaign on our platform to design, build and race a formula-style car in an international competition. The campaign, led by a group of University students, has reached over 100% of its €5,000 goal, collecting a total of €5,128. Here at ZAAR we are very proud to have served as the springboard for their ambitious project! Now that the crowdfunding campaign has hit the target, the young team can start focussing on designing and building a lighter, faster and stronger car than the ones they’ve previously competed with in the worldwide Formula SAE competition. 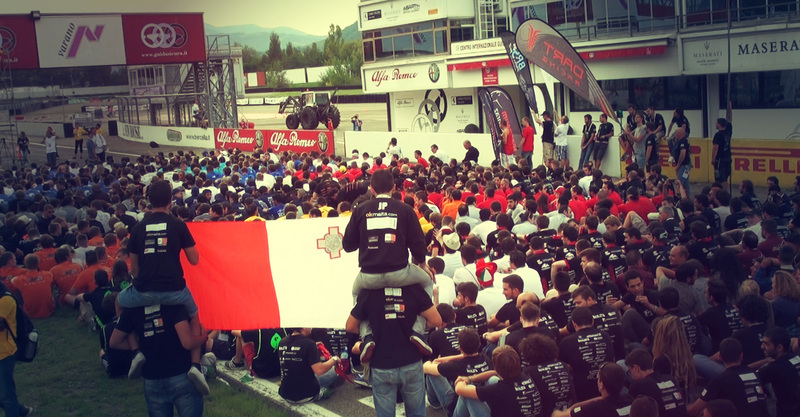 This prestigious competition gives these students priceless exposure, not only to huge car companies like Dallara, Lamborghini, Ferrari and BMW, but also many opportunities to network and establish contacts both with these companies and with other more experienced teams. After a number of meetings and discussions about how best to present and manage the project’s crowdfunding on ZAAR, the campaign was launched in April with an event at the students’ workshop garage at University, at which point they also announced that the Ministry of Education would be sponsoring the team for the third-time running. The launch included an exhibition of the the cars the team had built so far, but also showcased the process of building a formula-style vehicle through various designs and parts. Other recent success stories at ZAAR include the Alicia Short Film, the Comics for Public Libraries and the Mater Dei Pet Cabin campaigns. For more information about these and other ongoing crowdfunding campaigns, please browse our site.